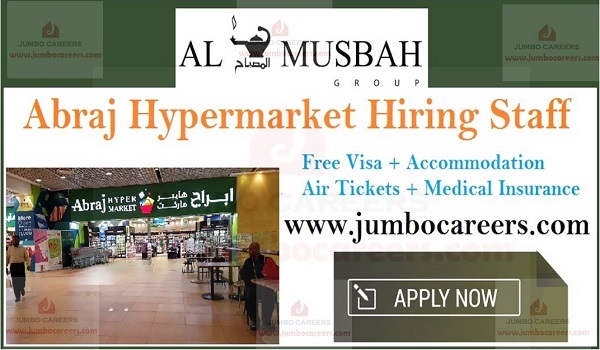 Al Musbah Group Saudi Arabia is hiring staff for Abraj Hypermarket and other group concerns. Its a direct and free job recruitment and no intermediate agencies or consultants involved. Al Musbah Group jobs benefits include free visa + accommodation, air tickets and medical insurance.